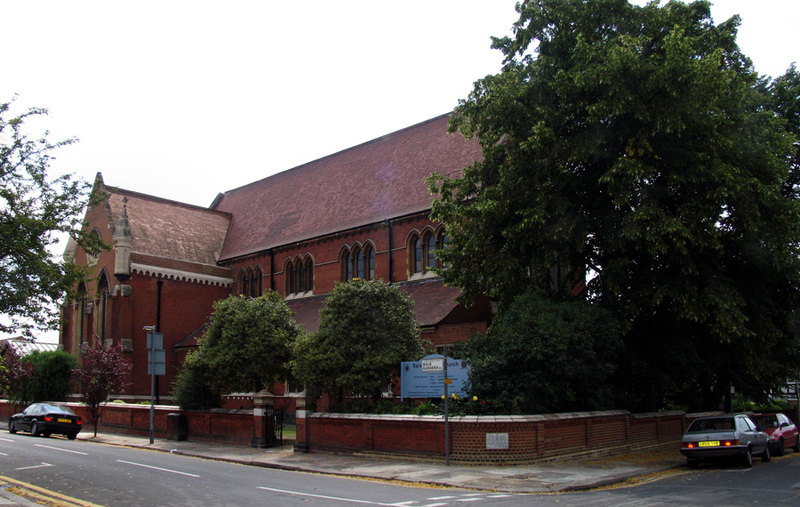 St. Martin's, Hale Gardens, West Acton. St Martin's Church in Hale Gardens, West Acton, London W3 is a locally listed building of 1906 by Edward Monson & Sons (as inscribed on the memorial stone). Of redbrick with stone dressings, chequer-work to the transept gables, and turrets to the transepts, it is described by Bridget Cherry and Nikolaus Pevsner as "[o]ld-fashioned for its date" but nevertheless "[l]ofty and ambitious" (155). 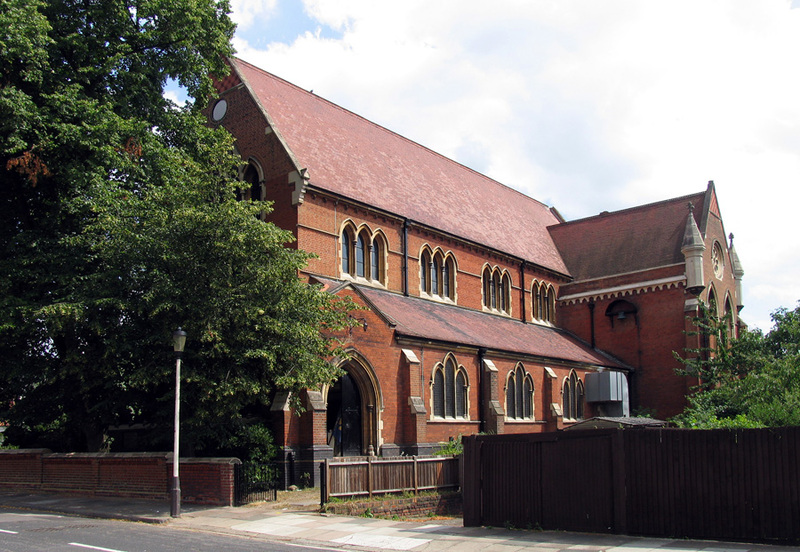 Unfortunately it was never completed, and the church hall was eventually built where the temporary chancel had been (see "Acton: Churches"). 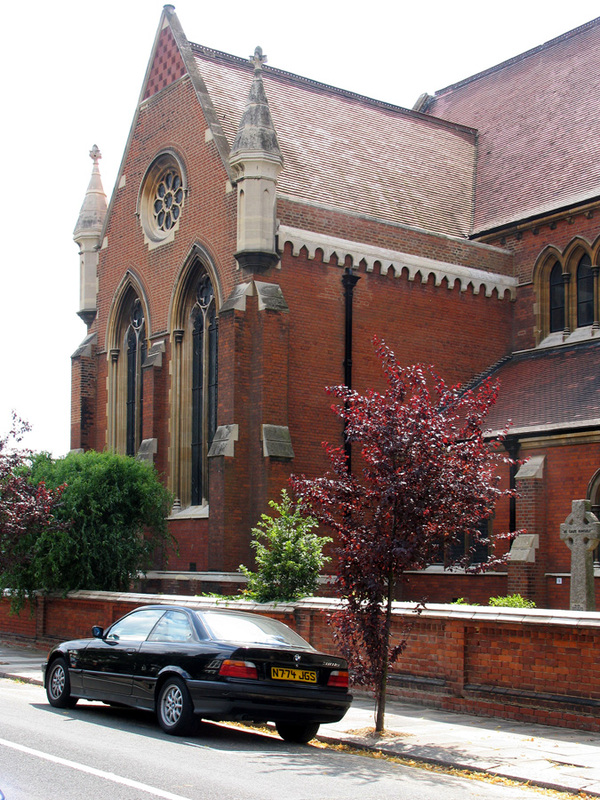 Left: View from the corner opposite Hale Gardens. Right: The south transept, showing the attractive gable chequerwork, turrets and rose window. 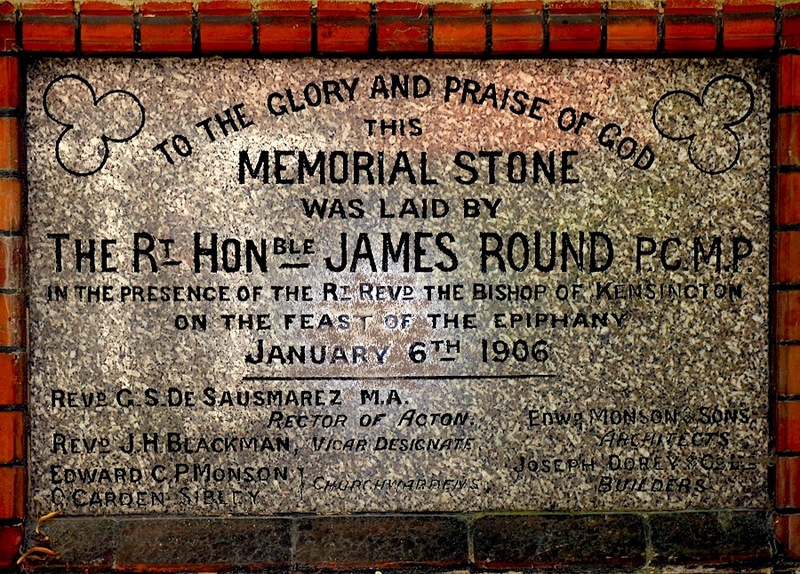 The church's patron was the Bishop of London. With north and south aisles and transepts, it could seated a congregation of 750 ("Acton: Churches"). There was a family connection here: a memorial stone (see below, and click to enlarge) not only lists Edward Monson & Sons as the architects, but Monson's son, Edward C. P. Monson, as a churchwarden. It is a shame that the plan for the church was never fully realised.